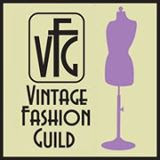 We specialize in fine vintage menswear from the early to mid 20th century and have a particular love for the Atomic Age. We value the cultural and historical relevance of this time period. We also believe that clothing from this era is unmatched in quality and style.